Part 2 Utopia for Whom? 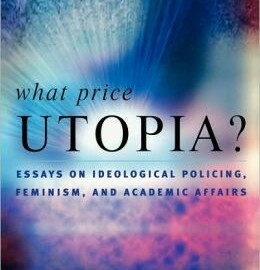 Chapter 4 What Price Utopia? Chapter 6 Justice Comes to U. Mass. Chapter 8 Third Thoughts about Orwell? Chapter 11 Who’s Calling Whom “Subaltern”? Chapter 15 Will the Real Feminists in Academe Please Stand Up? Chapter 24 Why Not a Feminist Overhaul of Higher Education?